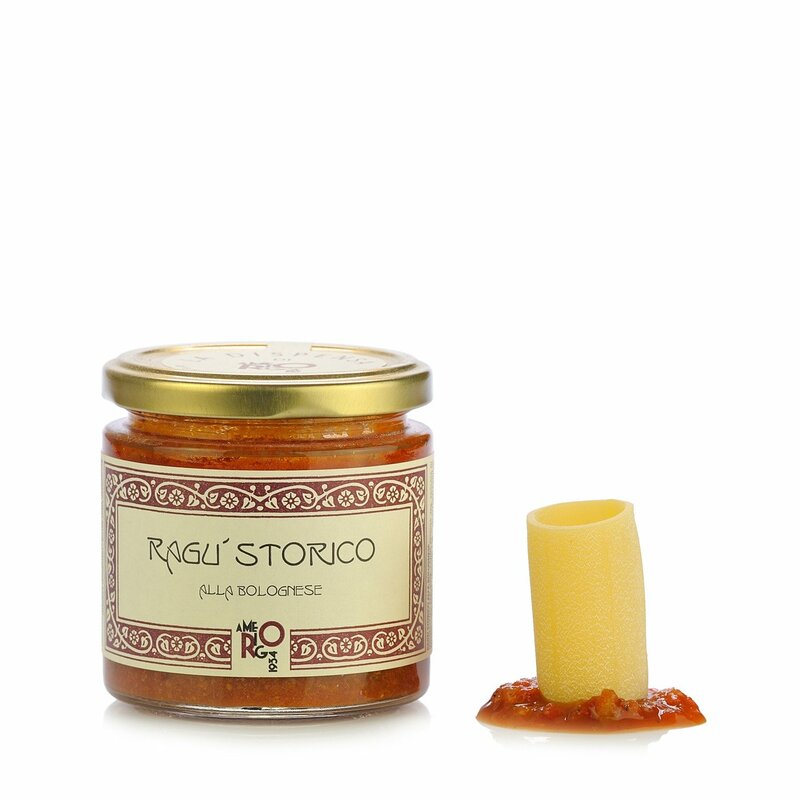 This ragù is produced following a recipe that uses very high quality beef. Unlike a classical ragù, this recipe uses more vegetables and less tomato, for an even more delicate flavour. The only pork that is added is pancetta, which is also produced locally. These methods ensure a smooth flavour that is suitable also for your most delicate dishes. Ingredients beef 36 g, tomato passata, pork pancetta 17 g, extra virgin olive oil, Medicina golden onion, carrots, celery, double tomato concentrate, Cervia sea salt. For more information on product labels, please contact our Customer Service department. The information on the labels of the products may vary for reasons beyond our control, therefore, there may be discrepancies between the information on the site and that on the products delivered. Please always check the information on the product before consumption or use.